Trying to complete the British Steel Challenge. 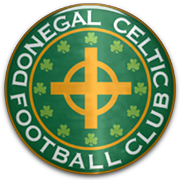 2019/20     Donegal Celtic    Premiership        6th         N. Ireland    Resigned at the end of the season. I decided to give myself a head start on this challenge and started out with TNS. Granted they are the best team in Wales but for me this was going to be the best place to see if I was even going to start this challenge. After a month, I knew that I was going to start this challenge and that this was only going to be a 1 year stay in Wales. The plan was simple, win everything in Wales and preferably win the Petrofac Training Cup at the first attempt. While winning everything in Wales turned out to be very simple, I did fail to win the Petrofac Cup as I drew the best 2 teams (in my opinion) in the cup. We managed to beat Hibs on penalties but we were then smashed by Dundee Utd. The other thing that I hadn’t intended on was doing well in Europe. The plan as I thought was going to be, go as far as possible and then lose in the last qualifying round. Turns out the players had other ideas. We got destroyed in the Champions League qualifiers against Viktoria Plzen and after drawing Gent in the Europa League and losing the home leg 1-0, my assumptions were looking correct. However in the away leg we produced one of the best performances I have ever seen as we smash Gent 4-1 and guarantee ourselves a place in the Europa League group stages. The good European times didn’t end there. We won our first game at home against Russian team Rostov and at the end of the night we were in 2nd place behind Inter Milan. As expected it went downhill after that although we did pick up a point at home against Feyernood thanks to a last minute equalizer. We were also beating Inter Milan at home, but that only lasted 30 seconds as they answered back immediately and scored another 2 after that. Overall an unbelievable run in Europe that puts the club financially miles and miles above everybody else in Wales. The league was straight forward and had we not been in Europe then I firmly believe that we would have gone unbeaten. Throughout most of the year we were rotating the team whether it be because of the domestic cups that I knew we had to win, or because we had to have our best team out for our European games. We lost a 3 of our last 5 games once we had been named champions and this was purely down to resting players due to the Welsh Cup games that were going on in between games. Overall it was an easy league win. This was the squad that did all of the hard work throughout the season. The main defense was anchored by Cole, Duffie & Saunders. The midfield was a real mixture of players but the standouts were Routledge, Brobbel & Murphy. Up front throughout the season was all about Quigley who started out as my backup striker but quickly became the number 1. Furlong came in late on and I would have loved to have seen what he could do in 1 full year. Despite only starting 6 games scored 11 goals. And so with that my time at TNS has come to an end. If I wasn’t sure about moving around and trying to complete this challenge then I could seriously have stayed for another few seasons and turned that team into a quality team. Some of the players that I could have signed were so far above the players that I already had, I am sure that in the next 2 seasons we could have got through to the group stages of the Champions League. Congrats on dominating Wales! Hopefully the other countries will prove a bit more difficult or it won't prove to be much of a challenge! Suffolk Seasider - I realise that it was hard to pick up at first, but I'm glad you worked it out! Thats the problem when a team has white as one of their main colours. I am very sure that the other countries will prove a lot harder. I imagine that England will be the hardest. So I have decided to move to Northern Ireland and start at the bottom and try to work my way up. I am hoping that Donegal will be a good fit. They did well last season finishing 2nd in the league but missing out on promotion through the playoffs. They also won the Steel & Son's Cup so I will have big shoes to fill. 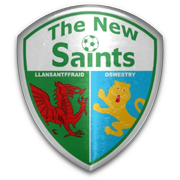 Can't say I'm surprised you began at TNS as it was the easiest place to begin but the switch to Donegal Celtic should prove to be more difficult. Best of luck @Ice Man. Shedender - Thanks, I thought that it would be best to get them out of the way and crack on with climbing up the divisions in the other nations. So after taking over I realised that this may not be as easy as it first appears. The cub had no staff at all, and although I managed to fill all the required roles, they were nowhere near what I had been used to at TNS. Secondly with all the players on non-contracts I was getting news items every day that somebody was after another of my players. The good thing about non-contracts is that it is very easy to create a big squad and although there were a few changes throughout the year the main part of my squad was formed within the first three weeks of me being at the club. Without knowing too much about Northern Irish football I could see that the league season was only going to be 22 games long and while it would allow me to get through the season quickly it would also be very boring and wouldn’t allow the squad to stay match fit. By the end of August however I need not worry about keeping the squad match fit. We had 3 different cup games to play as well as the first 3 league games. After seeing the cup draws which included 2 games against premiership teams I wasn’t feeling too confident. However, what happened would be the start of a cup run season where we would knock out 4 premiership teams. The County Antrim cup was going well having knocked out Crusaders & Ballyclare but we were on the end of a last minute goal against Bangor who knocked us out. We hadn’t deserved to lose to Bangor, but at the time we were in a rut where we were struggling to win and this game came at the wrong time. The Intermediate cup came at the wrong time for us. As above we were not playing well and when another late goal sent us into extra time and penalties, I just knew that we were going to lose. Sure enough we did. Our defense of the Steel & Son’s cup was going well until we played non-league Coagh United. I wanted to rest my main squad with a big game coming up but that turned out to be a massive mistake as we were battered 4-1 and soon realised that we weren’t good enough to be playing a weakened side. The NIFL Cup however turned out to be our cup. Having knocked out 3 premiership teams on route to the semi final I was determined not to let this cup slip through our hands just like the County Antrim Cup did. I rested everybody that I could ready for the test against our league rivals Dundela. I was pretty confident that we would win but after tweaking a few tactical things I was bought back to reality with a bump as we conceded an early goal and went into half time 1-0 down. At half time I just went for it. We went attacking and I told the players to get forward. Thankfully it paid off and we went on and scored 3 second half goals which booked our place in the final. The final was a very one sided game. We took complete control of the game with 3 first half goals and with that the tie was effectively over. They scored 1 consolation goal but it didn’t matter and we were the NIFL Cup Champions. The league turned out to be unbelievably close but if we didn’t have a mid-season melt down then we could have won the title with 3-5 games left. We started the season like a house on fire winning 5 of our first 7 games but then injuries piled up and cup competitions took over. Our main striker got injured for 2 months and we were never able to score the goals that would have turned losses into draws and draws into wins. We would go 6 games without a win, losing 5 of them. Things were looking bleak until something clicked again and we went on a fantastic 9 game unbeaten run. We were helped massively towards the end of the season with the really poor fixture scheduling. From January onwards games are every 2 weeks and while everybody else was happy to wait until their next league game, I wasn’t. We arranged friendly’s every other week in between the league games to try and keep our team match fit. It worked on the whole as teams were struggling to find any real consistency we were able to win continuous games. The league came down to the wire. With 2 games to go any one of four teams could have won the league. Ultimately we won the league on goal difference from Banbridge after they conceded a 79th minute goal in their last game which knocked them down into 2nd. We did what we had to do winning the last game 3-1 but if we hadn’t then I would have been so pissed, as the two previous games we gave up winning positions and ended up drawing games that we should have won. The squad in general played well but next season we are really going to have to improve our defense. This is what really let us down this season. Going forward we looked dangerous most games and this really shows in the cup games we won against higher division teams. 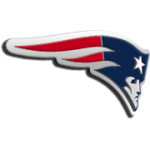 On the flip side of this our defense in the league was really poor and showed by just how many times we lost winning positions. In fact all 5 of our draws were games which we were winning. My star performer of the year was forward Joe Todd who scored an outstanding 21 goals in 27 appearances. This probably would have been even better had he not been out injured for 2 months. Other players worthy of note are full backs Deery and Maxwell, who were both the shining lights of a poor defense. In midfield Taggart stands out scoring 12 in 20 but he was another who missed a big chunk of time due to injury. So a good season comes to an end. The plan for the coming season is pretty straight forward. I want to consolidate our position in the league and win the Steel & Son’s cup. Ideally I would also like to target the County Antrim Shield after coming so close to the final last season. I won’t be interested in the League Cup. Congrats on winning another league title, albeit on goal difference; surely none can be closer than that! Suffolk Seasider - Thanks, I couldn't believe it! I was gearing up for having to play in the playoffs but thankfully Banbridge conceded and that was all I needed! Well where to start! Like I said in last season’s review, the main goal for this year was to consolidate our position in the league and look to do well in a couple of the cups. What happened however completely blew me out of the water. We started our cup games trying to defend the league cup we won last year. Having also stated that I didn’t care about this cup, it was a very easy decision to play a very weak team and we suffered the consequences. We lost 1-0 to Immaculata. The County Anrtrim Cup was one that I wanted to target after getting so close to the final last season. Yet again we were drawn against Premiership opposition, but this time it was in every single round. That made winning the cup even sweeter. After convincing wins against Glentoran & Linfield we headed into the Semi Finals feeling confident. An average game in 90 minutes sprung to life in extra time as we went behind early, but fought back to score 2 second half goals to win 2-1 in extra time. The final was very similar, going to extra time where once again we proved our will couldn’t be matched as we ran away with the game to end up 5-3 winners. The most important cup this year was the Steel & Son’s. We were doing well in the league so I knew that we were only going to get one more chance at this. Unlike last year I didn’t play a weakened team and the big boys went out and did their thing. After smashing Bangor 6-1 in the third round I knew that it was going to be our year. The next 3 rounds were straight forward and in fact the hardest game was the final. Against non-league Nortel we were pushed all the way. It wasn’t until a 63rd minute goal that we felt calm and in control. Another cup off the list. With league form going so well the Intermediate cup became another must win cup. In truth we had a pretty easy draw playing 2 premiership reserve teams, 3 non-league teams and finally league rivals Institute in the final. We scored an early goal and were in complete control for the rest of the game. We should have scored more goals but the main thing was that we had won. The final cup was the Irish Cup. This wasn’t of massive importance for me as I knew that I would have other chances to win this cup. However what transpired was another fantastic cup run. After 2 easy fixtures resulted in us scoring 12 and conceding 0 I was very confident heading into our sixth round game against premiership side Crusaders. They never stood a chance. We came away 4-1 winners and booked our Quarter Final match verses premiership whipping boys Carrick Rangers. We jumped out to a 3-0 lead and were looking very confident. 2 late goals for Carrick did have me slightly worried but thankfully the boys held on and we went through to the Semi Final. The Semi was another show of our attacking might putting 5 past Dungannon as we moved on to play Ballymena in the final. The Final looked like it was going to go in the same way as the others had gone. We came out of the blocks super-fast and jumped into a 2-0 lead inside 15 minutes. The rest of the first half was a procession which should have resulted in more goals for us. The second half started in the same way, we were dominant. However, things changed when Ballymena scored a freak goal in the 72nd minute and from then on the momentum changed. We were under siege and could barely string 2 passes together. Thankfully however the Ballymena forwards were having a shocking game and whenever they got a chance they fluffed it. The final whistle rang out and we had won our 4th cup of the season which included a nice little bonus. As I alluded to earlier, things we going well in the league. I completely changed my approach from last season. I decided early on that despite us playing so many cup games, I needed to play my main team in every league game. So instead of playing a completely different team every time I thought that I might win that league game, I just decided to rest my main players for 2 days after every game. This approach meant that just like we had shown in our cup runs, when our team was firing we could beat anybody. This turned out to be just the case. We dominated the league going into first place after 4 games and we never let that place go for the rest of the season. Of course there were games where things feel like they are against you, but what had changed this season is that instead of losing those games we were somehow turning those games into draws. Most of the losses we had came at the end of the season as we were preparing for our cup finals. The squad didn’t really change a lot despite me saying that I needed to upgrade. The success of this team all comes down to our attacking force. Once again the team were guided up front by Joe Todd. He improved on last year and ended up scoring an eye catching 35 goals. The other thing to note is the amount of assists not just from Todd. We had 5 players with double figure assists which is truly an astonishing effort. Our defense stepped up big time this year as well. The full backs played fantastically well providing a constant attacking threat, but we finally found a centre back pairing that played well together. McLaughlin popped up with some important goals, while Graham with his extra pace was always on hand to cover and deny goal scoring opportunities. The whole defense were also aided by having a fantastic goalkeeper behind them. I still can’t quite believe what happened this year. We were simply amazing. Looking forward to next year I just want to avoid relegation. I am 99% sure that it will be my last season in charge of the team so if I can lay a platform that will allow them to stay in the premiership once I am gone then I will be very happy. The added bonus of European football will also make a massive difference for a club like this. So after winning the Irish Cup we were entered into the 1st qualifying rounds of the Europa League where we were drawn against Stjarnan from Iceland. I really wasn’t expecting much. We aren’t the best team in Ireland but I just didn’t want us to embarrass ourselves. After the 1st leg of the 1st round we were living up to our expectations. We had lost 2-0 at home but I honestly wasn’t too worried. Before this game the players had only been in pre-season training for 3 days. With a week to prepare for the second leg I was hopeful that with a bit of match play in their legs that they would be able to come back firing. We did just that. The first half was looking like it was going to end 0-0 but in the final 8 minutes we managed to score twice to level the tie on aggregate. Unfortunately we forgot to defend our goals and Stjarnan scored on the stroke of half time. That goal didn’t change the game in any way for us. We knew that we had to score again regardless so in the 2nd half we upped the ante and within 3 minutes we had scored our 3rd of the night. We added another with 20 minutes to go which killed the tie off, and just like that we were had qualified for the next round. In the 2nd qualifying round we were drawn against Kazak team FK Aktobe. With the first leg at home again I was determined to put in a good performance and not need to go and win it in Kazakhstan. We fell behind early and this was starting to look like the same story as the last leg. Thankfully though the boys responded and we went into the break level at 1-1. In the second half the boys showed that their fitness levels were superior to their opponents. Heading into the last 10 it was still 1-1 but after bringing on a fresh pacy (for this level!) striker we were able to get in behind their defenders. 2 lazy, tired tackles in the box gave us 2 penalty’s which were both converted and at 3-1 I was over the moon. It got even better when another goal in stoppage time made the score 4-1 and this tie was over. The 2nd leg wasn’t a pretty game. We got into half time at 0-0 and knew that the job was nearly done. In the 2nd half we pressed everybody everywhere. We didn’t allow them to play. In doing so we picked up 8 yellow cards! This became a problem when our right back was sent off in the 72nd minute. We made some changes and although we did concede not long after there was too much for the hosts to do and amazingly we had made it through to the 3rd qualifying round. The 3rd round pitted us against Norwegian team Odd BK. This was always going to be an incredibly tough game and didn’t give us too much of a chance. The first leg in Skien got off to the worst possible start. We were 3-0 down at half time and hadn’t looked like scoring. I decided that if were going out then were going out swinging and switched to an all-out attack look. We scored another penalty and at 1-3 at least we had something to be positive about. 20 minutes later however we were back to reality. Odd scored twice and at 5-1 this tie was already over. Or was it… 2 late goals gave us something to play for back home. 3 away goals meant that just 2 at home would be enough to take us through and possibly play against a European giant!! It didn’t happen. The game was moved from our stadium to the national stadium so we could get a bigger attendance. The move seemed to change our team as we just couldn’t get anything going, no matter what we tried. Odd were very happy to just defend and offered nothing in attack, but they didn’t have to.We tried everything to get a goal but it wasn’t to be. Our European adventure was over but what a ride it had been. We had raised £460k thanks to our run and that is money that can certainly change the look of this club. It means that this club has protection while having the chance to spend on players that can keep the club in the Premiership. What an unbelievable experience for such a small club. Wow thats some back to back season man! Flying out the blocks! 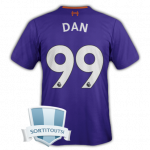 Dan - Thanks, I couldn't quite believe it! The Irish Cup was a real surprise as it was one that I wasn't targeting. So here it is, my last season in charge of Donegal Celtic. What we have accomplished in 3 seasons is quite unbelievable. Before the season started I was offered the Dungannon Swift job. I really, really considered this offer. The main reason is that they participate in the Mid-Ulster Cup. Had the club not been playing in Europe then I would have taken it, but it wasn’t to be. After the massive successes of last season this year was all about consolidating our position in the league. If we go on a cup run or two then fantastic but that will only be due to our 2nd team. I’m not going to waste and potentially injure any of our first team squad for cups that we have already won. It was therefore no great surprise that we didn’t defend any of our 3 cups losing to Linfield in both the County Antrim & the Irish Cup. As I’ve previously stated the only aim for this year was to be competitive in the league and not to get relegated. We performed fantastically well despite a very poor start to the season. What I couldn’t get at the start of the season was why we were struggling against teams that we have beaten since Division 1. What I came up with is that they must have been playing weakened teams against us in the cups. After getting over our initial slump we started to turn things around and in truth we were never in or near the relegation spots from then on. In fact thanks to a good run towards the end of the season we ended up finishing 6th and qualifying for the European playoff places. Selfishly I was over the moon that we didn’t end up winning any of the games. Had we of qualified for the Europa League again then I may have felt the need to stay, but thankfully I don’t. The main difference with the squad is that this year we can offer players part time deals. While that is fantastic as you can see I didn’t take advantage of that leaving most of our players on non-contracts. This is a great way to keep the finances down, but if another team offered a contract to one of the players that I wanted to keep, then I would offer him a part-time contract. In fact only 4 players got part time contracts outright. James Wright, Matthew Smyth & Conor Reilly got one when they joined at the start of the season. Right back Seanna Foster got one when he joined in January. The pleasing thing about the squad was that there were so many good contributions from people in all positions. Cairns in goal was as solid as he has been since he arrived at the club. The defense was led by the centre back pairing of McLaughlin & Smyth. The midfield was run by Wright & Smith but with meaningful contributions from Carson as well. Going forward a lot of our success was thanks to Conor Reilly. He got great service from McKenna, Black & Moore but it was his goals that lead us away from a relegation battle and into a European qualification race. Throughout the year I was linked with a lot of jobs. There were openings at premiership rivals Linfield, Portadown & Glentoran. I would have considered the Linfield job but they instead decided to promote their assistant manager. The Glentoran job never interested me but the Portadown job was an interest as they compete in the Mid-Ulster Cup. The job offer never came and with that I decided that I would come back to Northern Ireland later down the road and finish what I started. There were however a couple of other interesting vacant jobs going throughout the year. My old job at TNS became available and despite being the favourite I wasn’t even offered an interview, not that I would have gone back. The job that I really wanted however was the Dundalk job. Their manager had just taken the Hamilton job. The press asked for my response and I said I would be honoured to take the job. I immediately became the fans number 1 choice, the board were delighted that I was interested. Despite all of this I didn’t get a look in. Absolute [email protected]!”*£%S!!! So with that my time at Donegal had come to an end. I was leaving the club in a fantastic place and I’m just hoping that my replacement doesn’t come in and ruin everything. So after nearly 2 months without a job I have got myself a very interesting job. 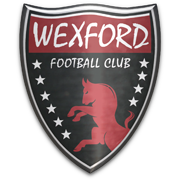 For some reason Wexford Youths decided to sack their manager despite currently sitting in 4th place just 2 points behind 3rd place Finn Harps. I have only got 4 games to try and get this team into the playoff places and potentially into the Premiership. So how did my 4 games in charge go? Overall it went very well. We won 3 and lost 1. Something that I didn’t initially realise was that 3 of the games were away. I was disappointed in the loss to Drogheda although the score line looks worse than it really was. The UCD game was the toughest and we were very lucky to come away with the 1-0 win. The important thing with that game was that we had qualified for the playoffs. First up we played long time leaders Cobh Ramblers who had suffered an end of season meltdown, losing all of their last 6 games. We made it 8 games lost in a row as we really showed our class and potential as we destroyed them 5-2 on aggregate. In all honesty the tie was over after the first leg at home which we won 3-0. The final leg of the playoffs was against Bray Wanderers who finished 11th in the premiership. With the first leg away I was worried but what unfolded next was ridiculous. It was one of the games that you dream about. Every time we had a shot it went in. We were so impressive that I don’t really know what else to say. Despite there still being another leg back at home, the tie was over and we were going to the premiership. Obviously I took over the squad too late to make any changes but despite that there are some promising signs for next year in the prem. Goalkeeper Mark Travers looks like a good backbone to build the defense around which is always a bonus. O’Hanlon looks a good youngster who I am hopeful that we can bring back and alongside Lee Grace we could have a good starting point. The midfield needs a lot of work. Most of the current players will keep their jobs but I would love to bring in a centre mid and a couple of wingers. Up front we look ok. I’m hopeful that Stokes will be able to perform at a higher level but with youngster Thornton going back to parent club Dundalk, I am going to need another striker. Looking forward there are a number of areas that we need to improve on but I am very hopeful that once we improve the squad we will have enough quality to challenge in the cups and stay in the league. I am under no illusions that this is only going to be a 1 year job, and am very hopeful that one of the top jobs in Ireland becomes available. The alternative option is to start looking at available jobs, and see what’s what. Now that I only need a top division job I could come back to Ireland at a later date. Just an update. This isn't dead, I am currently recovering from shoulder surgery so as you can imagine typing out a season review is very painful. Hopefully I will have an update out sometime soon.